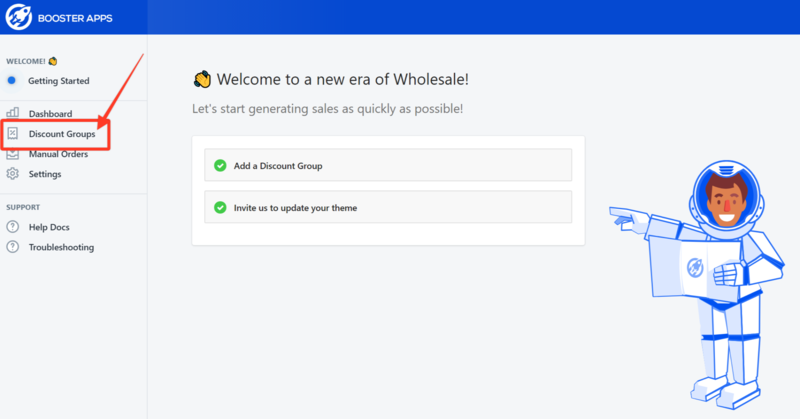 Individual prices on any of the products from your online store can be set to override the wholesale prices that would appear when a customer that belongs to a discount group places an order. This means that you can set a fixed price to a certain product regardless of the discount that the customer is supposed to get. Note: Before setting individual prices, please ensure that you have at least one discount group created. Step1. Launch the app and click Discount Groups from the navigation panel. Step3. Enter the product in the field provided. In this example, we enter Cool Kicks. Step4. Enter the fixed price that you want to set for this product. In this example, we enter 99.98 for the Opal discount group. Note: The % field will automatically compute the discount percentage that has been deducted from the regular price based on the fixed price that you have set. 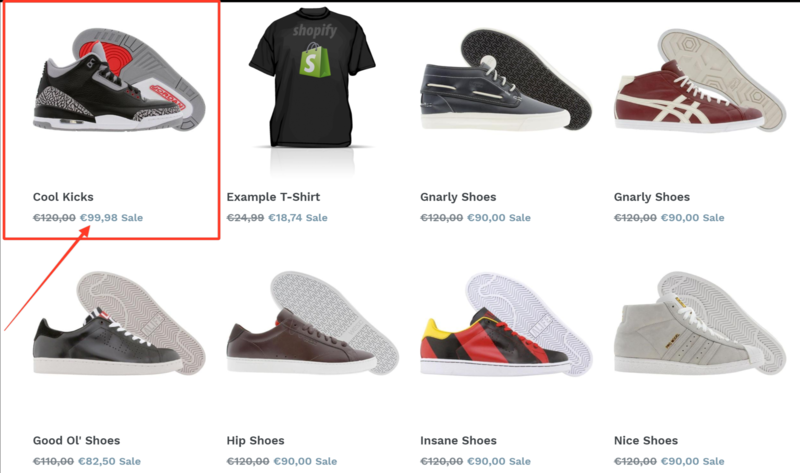 In the example above, the discount that has been deducted from 120.00 is 16.683. Step1. Go back to the dashboard and click Test on the Opal discount group. Step3. Click the link Login to your store as the tagged customer to simulate ordering. Step4. Look for the product and it should show you the fixed price you have set for it. The rest of the products will show the discount based on the entitlement of the Opal discount group.